Whether you're starting a business, buying an existing business, or just trying to keep your business out of trouble, Sullenger Law Office has the experience you need. We have counseled dozens of businesses, from one-person firms to Fortune 500 giants. Wes Sullenger can help you with Business Formation by suggesting the appropriate legal structure for your business in light of the product or service you intend to provide, analyzing proposed purchase terms, and other aspects of preparing for business. We can also help you prepare your Employee Handbook so you protect your business with proper workplace policies that comply with federal and state employment laws. 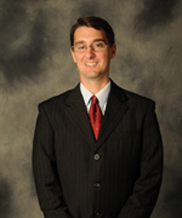 Wes Sullenger will also help ongoing businesses with Human Resources Compliance, conducting internal investigations into compliance with discrimination and other employment laws; responding to EEOC and Department of Labor inquiries regarding discrimination, retaliation, or wage and hour complaints; and defending your business in court, when necessary. Call us today at (270) 443-9401 to get started.